Heroes, Heroines, and History: Tidbits About Tuckahoe, N.Y. Many years ago as my husband was preparing for ministry he switched seminaries and we moved to Tuckahoe N.Y. He was attending Alliance Theological Seminary in Nyack, N.Y. at the time and was the part-time pastor of a church in Tuckahoe. Tuckahoe is actually a village of a larger city, Eastchester, N.Y. We lived there for five years. The church hired him for full-time ministry after he completed his M.Div. All of that is to help you become familiar with how I knew this place. What intrigued me most was that is was one of the primary marble quarries that helped build New York City. There were plenty of hills in Tuckahoe as one would drive up one area and down into another area. It was a small village a mile and a half in length and 3/4 of a mile in width. But you could still see where stone had been cut from the hills. This is an old postcard of Union Congregational Church and the parsonage to the left. It was a grand house and our children had many adventures there. What you can really see is that the road going up to the house is now quite a hill. During winter storms of ice and snow it was impossible to drive up and down and reluctantly church was cancelled twice because of snow. •Mid 19th Century Scottish and Irish Immigrants were brought in to work the quarry. 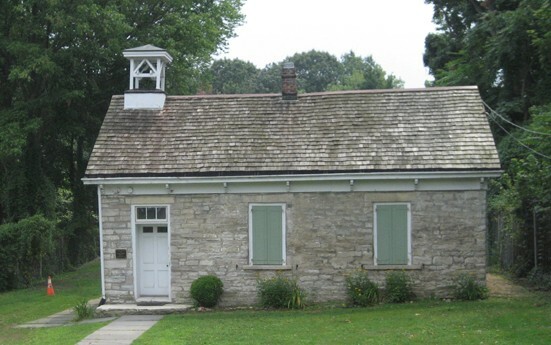 And in the town of Eastchester in 1835 a one room school house was also built exclusively from Tuckahoe Marble. Pictured here. I searched Google books for 19th Century histories for Tuckahoe, however I only found references to the town, the marble industry and places that purchased marble from them, as well as some references of people who graduated, lived or worked there at one time. If you're ever traveling through NY and heading out of the city you might want to check out this small little village. In our ministry we met some of the descendants of the original immigrants who came to work the quarry. Today it is a bedroom community for people who work in the city and commute using the trains. Yes it is. It's amazing what you might not know from the town where you're living or around the corner of it. 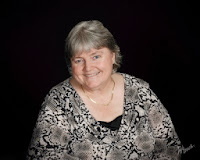 Lynn, I love finding out of the way little towns or communities like you have here. I find them fascinating and begin to imagine what life may have been like in the early days. I've never heard of this place, but it sounds interesting. Thanks for letting us share a bit in your family history as well. It is fun, isn't it Martha? Our writing minds can go so many places with tidbits like these. Lynn, this sounds like a charming place to have lived for a time. We enjoyed it. It would be interesting to go there again and research for a book. Hmm, I might just have to do that sometime. Very interesting, Lynn. I never was crazy about history, per se, but having read all your books---well, I love it. This article is so interesting, too, Even if the town itself didn't hold one's interest, you have a way of making it so. Thanks for being in my life. Hey Betty, thanks for those kind words. I've always thought of my birth place as too small to be of interest to anyone but me. You've made me take a new interest of the old home town. Thanks. LOL you'll have to share what you learn, Linda. Say an article here in the future.